A local website recently published one of my recipes, so to reciprocate, I started following their site. Ever since then, I have been rewarded with lots of great ideas. 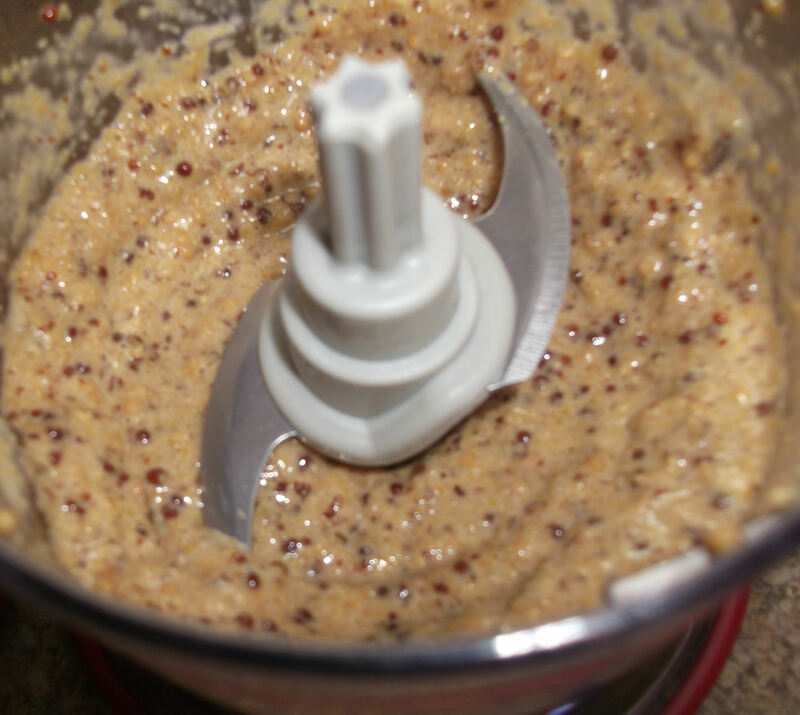 One of them is this recipe for homemade mustard. Homemade mustard? Who knew? I certainly didn’t. 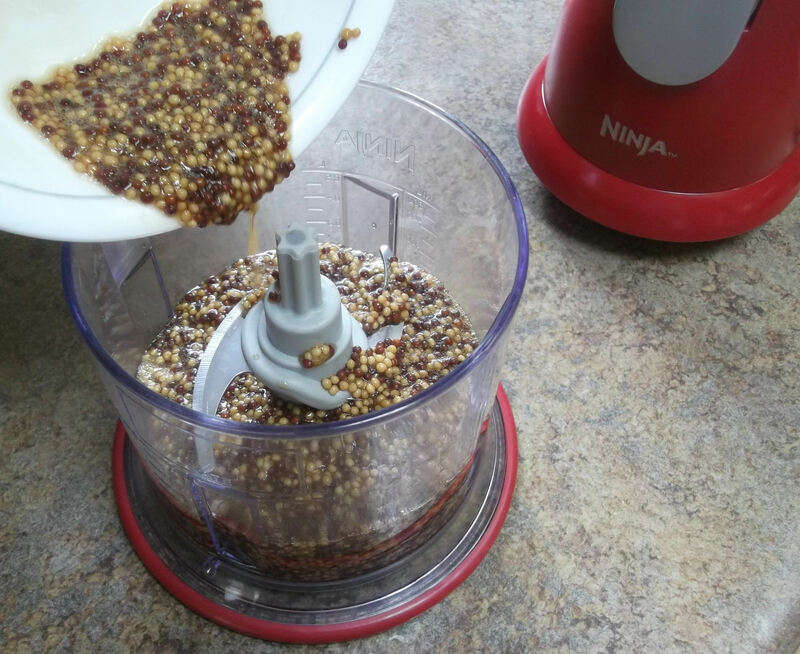 I had no idea you could make mustard at home—and so easily. Even if I had known, I never would have expected it to be as good as it was! 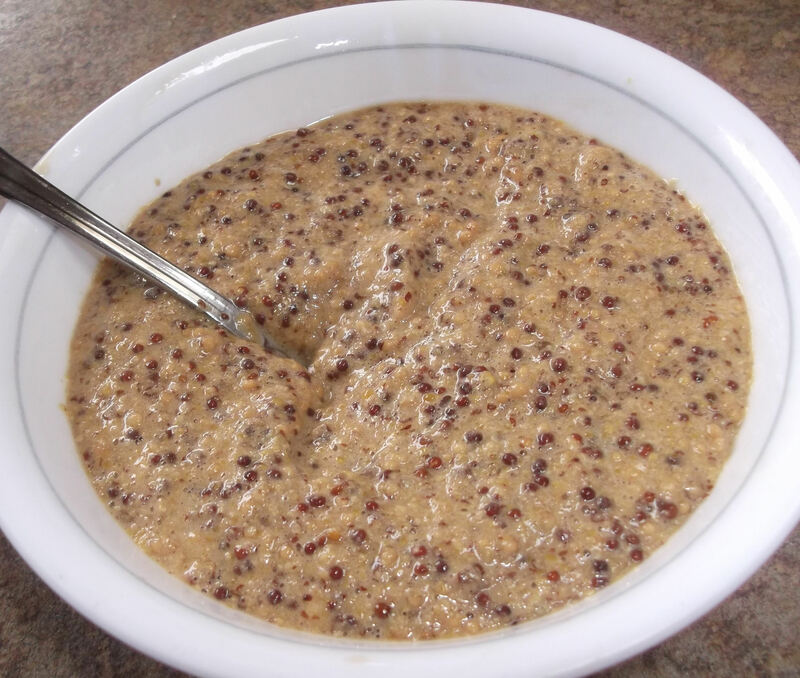 This whole grain mustard will inspire you to fire up the grill every night to find new things to put it on. 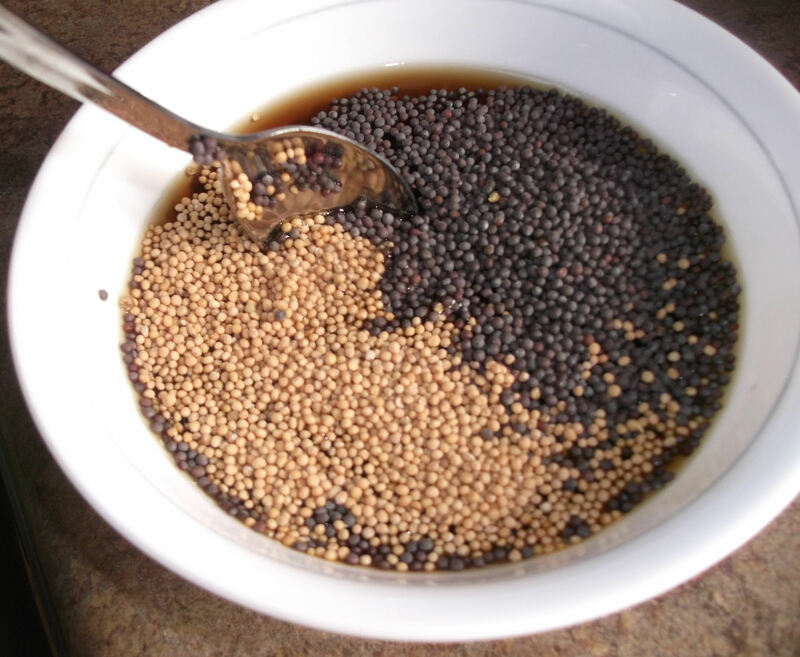 Combine mustard seeds, vinegar, beer and salt in a small bowl. Stir together, then cover the bowl with plastic wrap and allow the mixture to sit for 24 hours. After 24 hours, the seeds will have grown and absorbed most of the liquid. Stir in the brown sugar, then pour into a food processor or blender and process until well combined and smooth (some whole seeds will remain). Store the mustard refrigerated, in an airtight container. 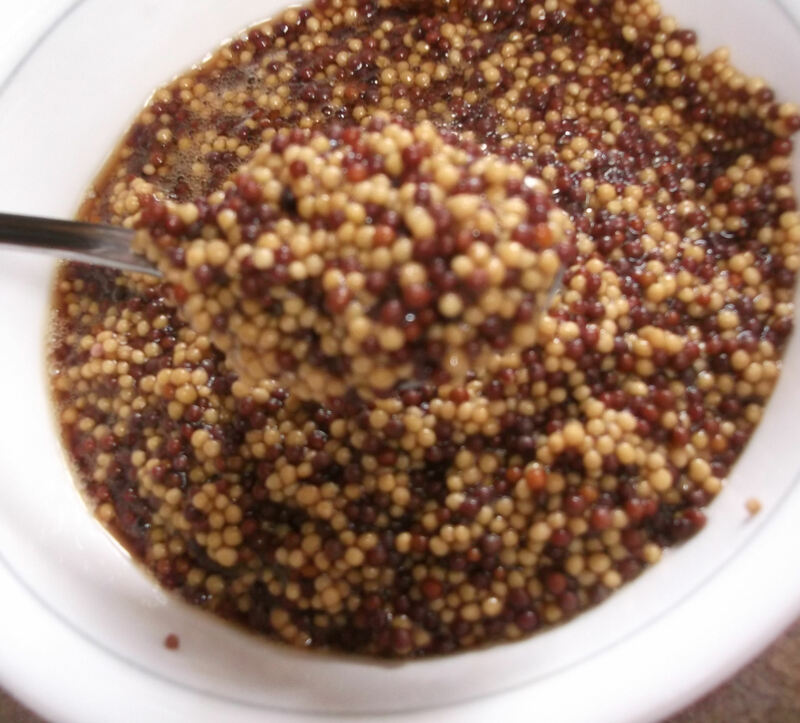 I used yellow and black mustard seeds because that’s what I happened to have at home. I have no idea why I had these, as I’ve never made mustard before, but there you go. For the beer, experiment with different types. When I went to make this, my husband was enjoying his favorite black ale from a local craft brewery, so when he wasn’t looking I sneaked over and saved 2 oz of it for my mustard. Sssh…don’t tell! 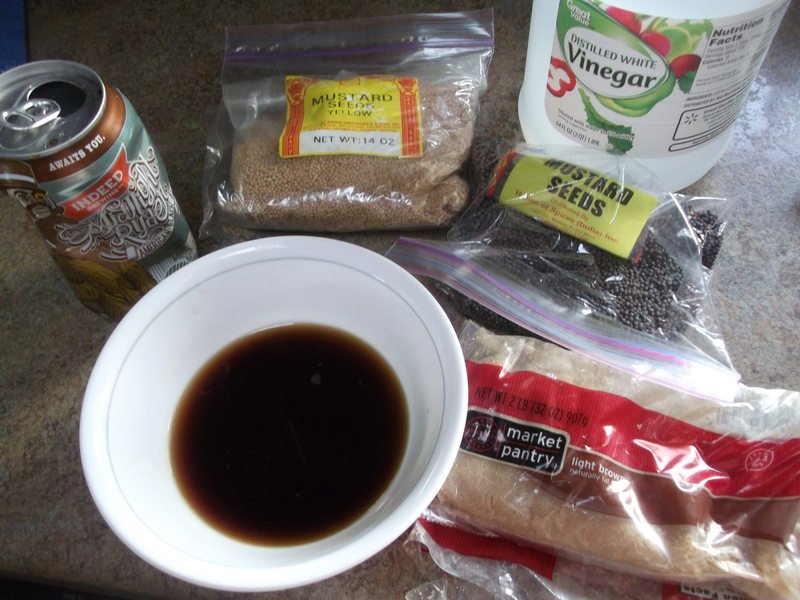 Combine the mustard seeds, vinegar, beer and salt in a small bowl. Stir together, then cover the bowl with plastic wrap and allow the mixture to sit for 24 hours. After 24 hours, the seeds will have grown and absorbed most of the liquid. Stir in the brown sugar, then pour the mixture into a food processor or blender. Process until well combined and smooth. Some whole seeds will remain. Store the mustard in an airtight container in the refrigerator. If you can, allow it to sit for a day to really let the flavors meld. I don’t know how long it will stay fresh, as I went through my batch pretty quickly. To use it up quickly, just invite several friends over and fire up the grill. Hint: this mustard was amazing on grilled bratwurst! Enjoy!